The installer ran very quickly and the REPL worked out of the box. Nothing else to report yet, but I’m sure I’ll have more to say in the future. Updated 1: Rakudo won’t build from source on Cygwin because libuv is still a bit dicey there. However, cascent/neovim-cygwin looks like a promising step forward. Unless a viewer has a complete lack of imagination or willingness to adapt, readability of the new logo is not an issue, “moz://a” reads just fine as “mozilla”. Well, call me dull. Almost two years later, I just can’t stop my brain from tokenizing that as URL scheme “moz”, host “a”. 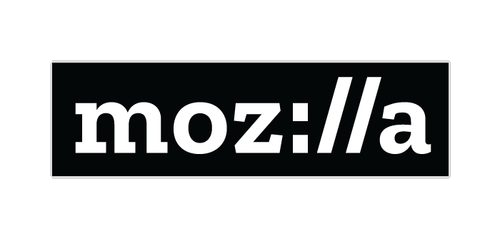 The Mozilla logo is a trademark of the Mozilla Foundation in the U.S. and other countries. Perl I have been enjoying recently and VBA is most of my day-to-day coding (since what they actually pay me for is driving MS Office). Delphi remains the only piece of software I have ever bought based on one marketing presentation. After QBASIC, I moved up to Turbo Pascal 6. When Delphi came out, I only had to see it on screen to be hooked. Delphi is also what taught me that the magic in a toolchain is really the linker. As I was learning C, I was able to write Windows programs using my DOS version of Turbo C++, linked with the Delphi linker. Excerpts from Stack Overflow’s analysis follow. Edit: For the “welcome to Stack Overflow” bookmarklet, go to this jsFiddle, hit Run, and then drag the resulting link to your bookmarks bar. "[edit your question](" + edit_link.href + ") to include more information." These are the first two I have written. I hope they are useful to you, or serve as helpful examples if you are writing your own bookmarklets! Technology makes our lives better to the extent we don’t have to think about it. Robert Pirsig makes this point in Zen and the Art of Motorcycle Maintenance, and it’s still true: technology that draws attention to itself has failed (except to a very hard-core audience of which I am probably part 😉 ). For the last two years, I have been using Google Chrome to view PDFs at work. Dozens a day, usually with at least five open at a time. For the last two years, every time I have rotated the view clockwise or counterclockwise, my page has shifted off-screen and I have had to scroll to get back to it. Has that stopped me from doing my job? No. Has it drawn undue attention to the underlying technology? Yes. Very yes. I cannot express my delight at finding, after a recent Chrome update, that I wasn’t the only one with this problem — and that it has been fixed! I rotated my PDF and reached for the scrollbar, but then I noticed the underlying technology in a good way: I was still looking at the same page I had been. Now each day is a bit smoother, and my job is a bit easier, because the fix has reduced, rather than increased, my mental workload. My sincere thanks to everyone involved in pdfium bug 116297. Special thanks to thestig at chromium.org for making the fix! If you read this, thestig, please know you have succeeded. Note to programmers: sometimes small fixes are big wins. It took thestig two lines of code to save me several minutes of wasted effort per work day, every work day, possibly for the rest of my career. Fix the small things — your users will thank you! Edit: And WordPress tells me this is my 50th post on this blog, so it’s a good day for milestones! Posted in People and technology. In this video (~36 min), scanlime finds exactly the right microsecond to drop the power supply — just enough! — to cause the processor built into a graphics tablet to dump its entire memory over a USB connection. This is not a function the tablet was supposed to provide! By painstakingly, scientifically defeating the assumption of a stable power supply, the tablet’s firmware control program, intended to be kept within the tablet, becomes available to inspect. And, as scanlime points out at the end of the video, that control program may well open other doors. Analyzing the control program may reveal other assumptions the tablet makes — assumptions that can be broken to change the tablet’s function to what she wants it to be. Every system is only functional, secure, reliable, or any good at all, as long as its assumptions hold. Whenever you think about the latest gizmo, don’t just ask what it will do for you. Ask what it won’t do for you when you least expect it — when the gizmo assumes wrong.